Tropic Water and Water Source team up to provide customers a complete lineup of water services. 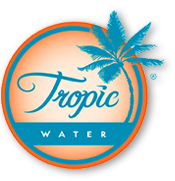 Tropic Water specializes in home and office bottled water delivery service and bottleless / point of use water coolers while Water Source is Hawaii’s go-to company for water filtration sales and service. One advantage of this relationship has enabled Tropic Water to offer customers both Point of Use coolers in addition to traditional bottled water delivery. This additional service sets Tropic Water a part form other Hawaii water companies that only deliver water or only install point of use coolers. “We feel that we can add value to our larger customers by offering a mix of bottled water delivery and POU where applicable, therefore reducing the number of vendors the customer has to work with”. By keeping all water services under one roof, The customer has one point of contact that can be called upon at anytime to deal with any necessary issues. In addition to the value added services this partnership offers, all of Tropic Water’s processing and bottling equipment was provided and is maintained by Water Source. “Rather than outsourcing to a service company that we aren’t 100% familiar with, this partnership gives us the peace of mind that we are selling the highest quality water to our Maui customers because we can be more involved with the ongoing service of our Lahaina bottling plant and the sourcing of new parts and equipment” adds Brandon Arnds owner of Tropic Water. Click Here for a complete listing of services that Water Source offers.